Simple and sleek in design, Hotel Shiva's Royal provides exceptional comfort in its pocket-friendly price range. The room has a fresh and ethnic look with a regal ambiance. 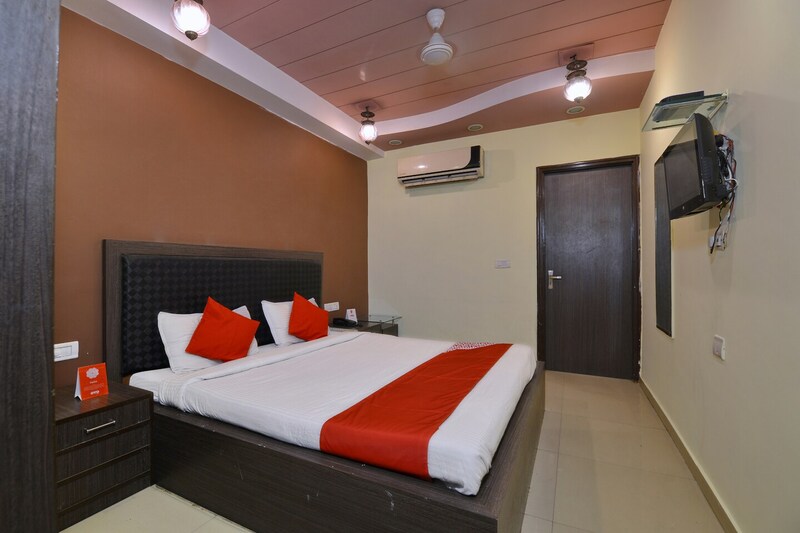 With wooden finishing and furnishing along with plush interiors, the room is packed with basic amenities. The windows open to the scene of the lively neighbourhood and with natural light streaming in, the room has the warmth of a restful place. Guest can avail the facility of free Wi-Fi. Additionally, the bar and spa are on the premises for travelers to relax in their own way. The In-house restaurant serves delicious dishes in the modern dining area. The conference room is available for various events.